Jim Robinson, president, Astellas Pharma US, observes a moment of silence with first responders at the Cancer Wellness Center in Northbrook, IL. Click on the photo to watch Astellas' Changing Tomorrow Day 2015 highlights video. 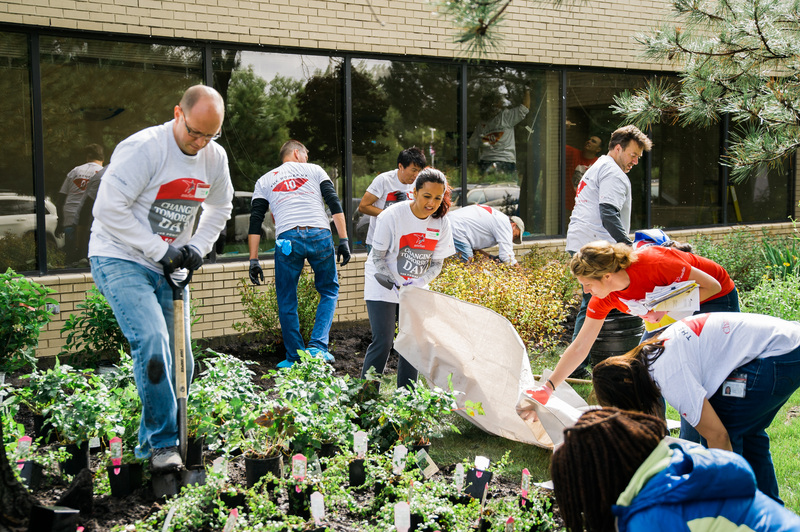 NORTHBROOK, IL, Sept. 14, 2015 — Astellas Pharma recently marked the company’s sixth annual Changing Tomorrow Day— a global volunteer service initiative — with employees lending their time to more than six community-based organizations around Chicagoland and Los Angeles. Volunteers also observed a moment of silence with local firefighters and first responders in memory of 9/11. 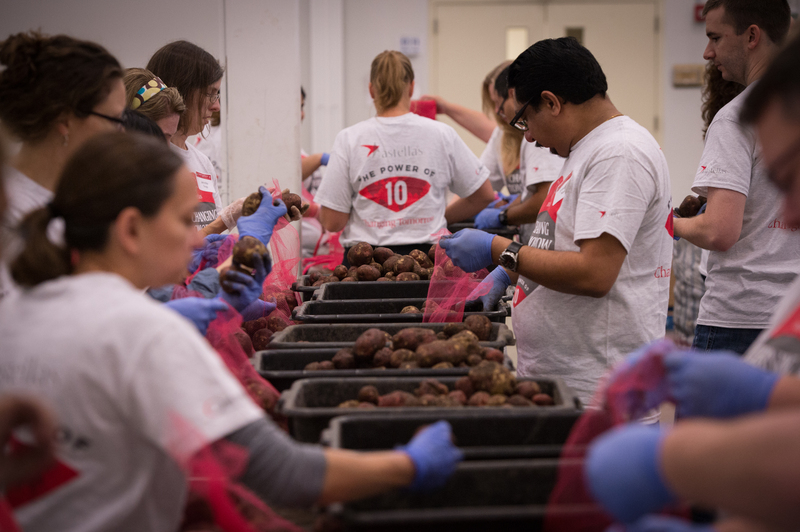 Between May 2015 and March 2016, Astellas is committed to achieving 10,000 volunteer hours across the Americas as part of a new initiative to multiply the impact of Changing Tomorrow Day by the “the power of 10,” in honor of the company’s 10th anniversary. So far this year, employees have completed more than 5,400 hours of volunteer service across the region. In Chicagoland, employees from Astellas’ Americas headquarters helped renovate a Cancer Wellness Center, packed food at two food banks and assembled blankets for wounded veterans. Employees from Astellas’ research affiliate in Santa Monica –Agensys– helped clean the Ronald McDonald House in Los Angeles, in addition to serving lunch and making crafts with residents, while others assembled toiletry bags for veterans’ families staying at The Fisher House. Later this month, Astellas volunteers will help beautify a Lake County forest preserve outside of Chicago. Astellas employees in Sao Paulo, Brazil will support various projects at Projeto Arrastão, a nonprofit organization that supports families in need across the city’s neighborhoods. As part of the Changing Tomorrow Day “power of 10” campaign, Astellas also recently awarded $100,000 each to the American Red Cross and Stop Hunger Now in support of their efforts to advance access to healthcare and expand community development around the world. Watch Astellas' Changing Tomorrow Day 2015 highlights video.